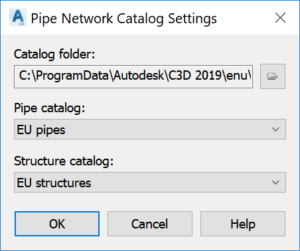 Installation requires to copy additional, custom template files to noted location (default: C:\ProgramData\Autodesk\C3D 2019\enu\ContentLibrary\Templates). Please make a backup before overwriting. 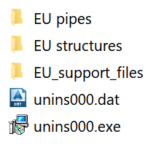 You also find a QTO file (Civil3D_QTO_EU.csv), that can be used for quantity takeoffs. Create a new DWG or open some current one. Ensure that you refer to a recently installed catalog. 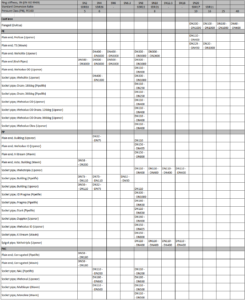 Catalog is meant for gravity pipeline design. You can find pipes in various pressure classes and manholes in various diameters. In that way you can more easily to carry out clash detection analysis, because everything is in real dimensions. To add a new pipeline, use the tool: Home > Create Design > Pipe Network > Pipe Network Creation Tools. Design with new catalog components doesn’t differ from the standard catalog components. 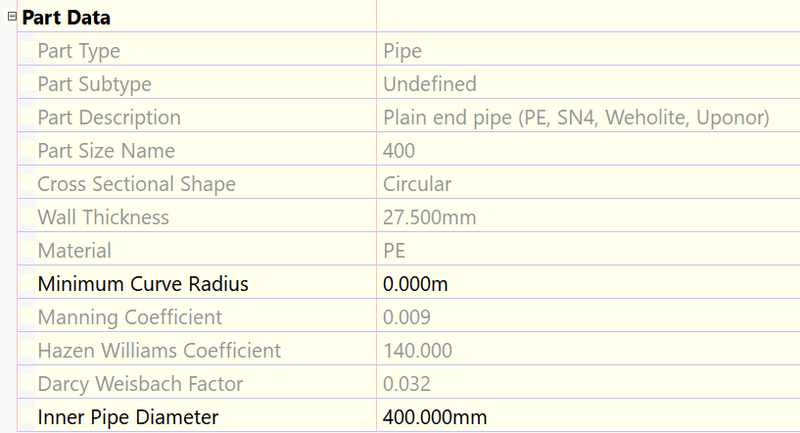 Note: Various pressure classes do have different pipe inner diameeter as well as wall thickness. You can combine different components (from various pressure classes) if you do not find a proper components under some specific SDR group. If you do so, the visual result may not look correct. 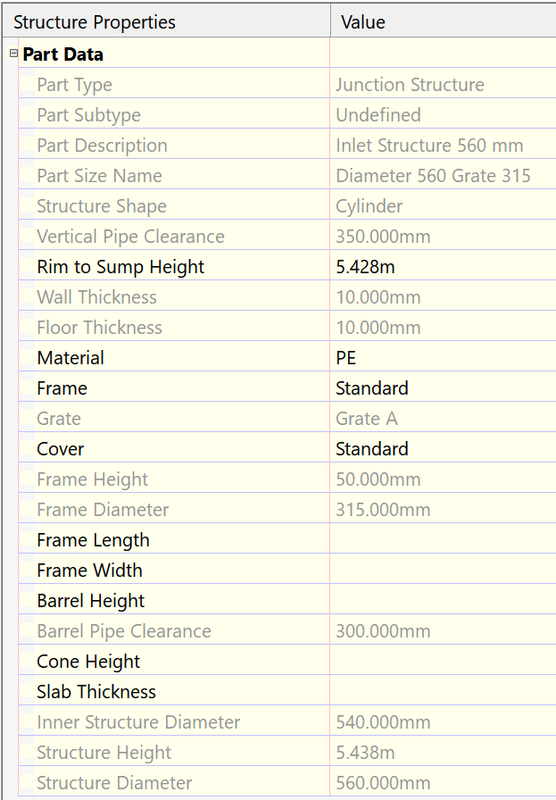 All components are created based on manufacturer data sheet (except manholes, where manhole diameter is major parameter that is taken over). All componets include additional information that can be used in labels. If you want to use quantity takeoff tool, please ensure that all your componets have pay item included. 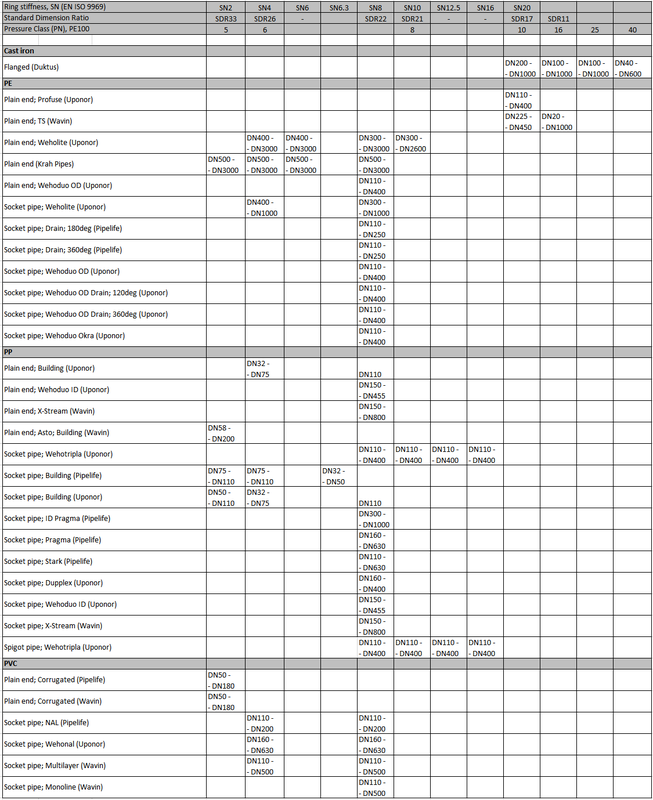 Open: Analysis > QTO > QTO Manager. 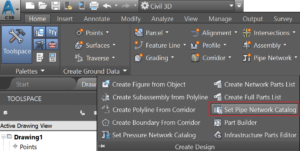 Connect to included pay item file: Civil3D_QTO_EU.csv. When connection are made, use the tool: Analysis > QTO > Takeoff. 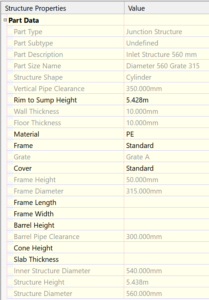 As a result you should have a summary of your pipe/structure components. Note: Pay Item ID and Description comes from CSV file. You can change that information if you want to. If you change pay item ID value, you also need to recreate the connection from component to pay item article. Structures are separated by its type (access, inlet) and diameters. Structures in this catalog are in range 315 – 1600 mm. 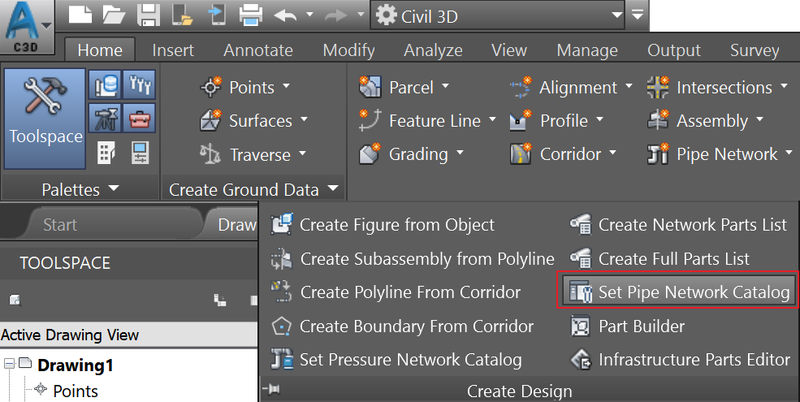 You can combine those with default components that comes with AutoCAD Civil 3D.